It's been hinted that Max Payne 3 will make the most of current high-end PCs, with DirectX 11 tessellation compatibility and "advanced graphics options" available to PC players. So with that in mind let's take a look at the test setup and then get into the results. Make sure you check out our visual tour comparing DX9 through DX11 graphics. We used Fraps to measure frame rates during 90 seconds of gameplay footage from Max Payne 3's fifth single-player level: "Alive If Not Exactly Well". The test begins at the start of the mission where you take a power boat ride down a river before going ashore and starting the mission. The first 90 seconds of footage is the same every single time as it is an in-game cut scene and we chose this scene because it is very demanding. Achieving our target frame rate of 60fps wasn't as easy at 1680x1050 as we were expecting. 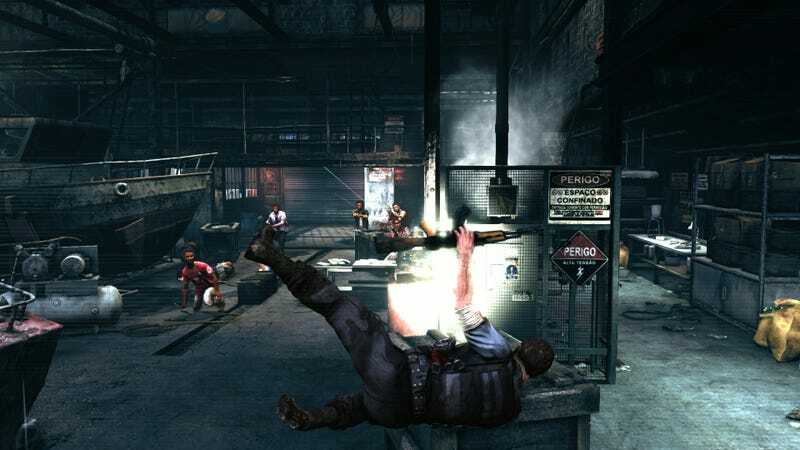 This required the use of either the GeForce GTX 560 Ti or Radeon HD 6850 which averaged 62fps and 63fps respectively. Falling just shy of the desired 60fps target was the GeForce GTX 560 with 55fps and the Radeon HD 7770 with 52fps. Graphics cards such as the Radeon HD 6790 and GeForce GTX 460 failed to average 50fps. Moving up past the GeForce GTX 560 Ti and Radeon HD 6850 we saw quite a large bump in performance with the Radeon HD 5870, 6870 and 7850 all averaging well over 70fps. The Radeon HD 6950 and GeForce GTX 480 averaged over 80fps and anything faster than that was overkill for these quality settings.